Reserve your tee time online at https://legacygc.teesnap.net/ . Few things to remember when doing so online. Please reserve the tee time for the actual number of golfers. 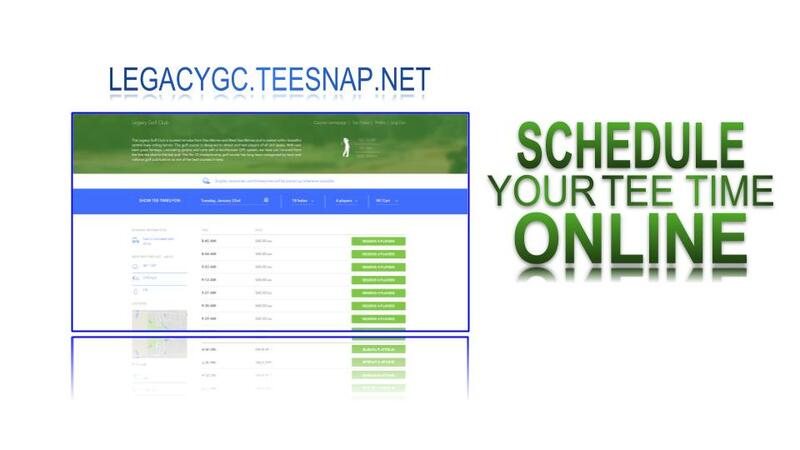 If your plans or numbers do change, you can adjust online reservations up to 24 hours before the tee time. Within 24 hours, you must call 515-287-7885 x2. We do not accept tee times for single players. Groups of less than 4 players will be paired up. Be sure to include the names of your playing partners. It sends them an email with the tee time reservation.